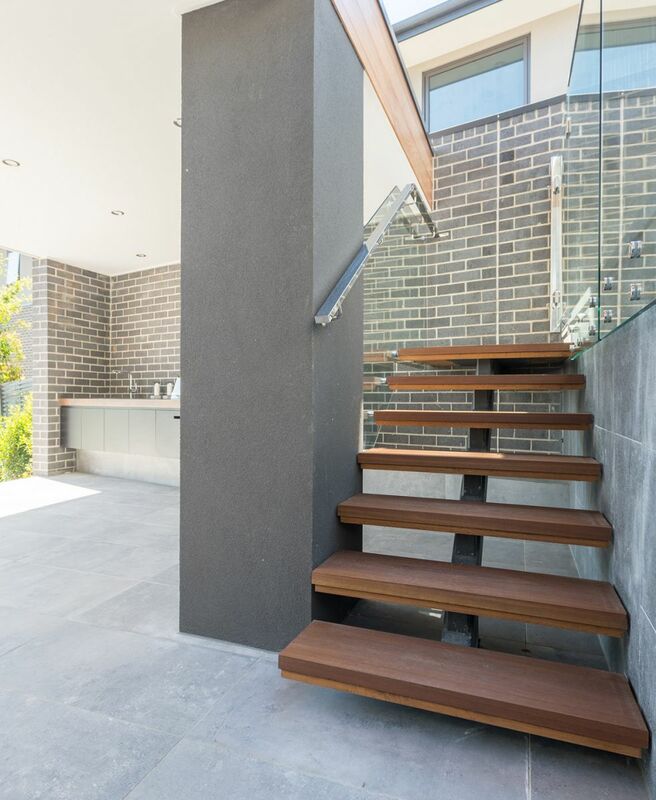 Homeowners opt for open stairs in Melbourne for two main reasons – the first is because they can help the space to feel much larger than it actually is, and the second is that you can see through them to the space beyond (great for getting natural light into the stairwell). 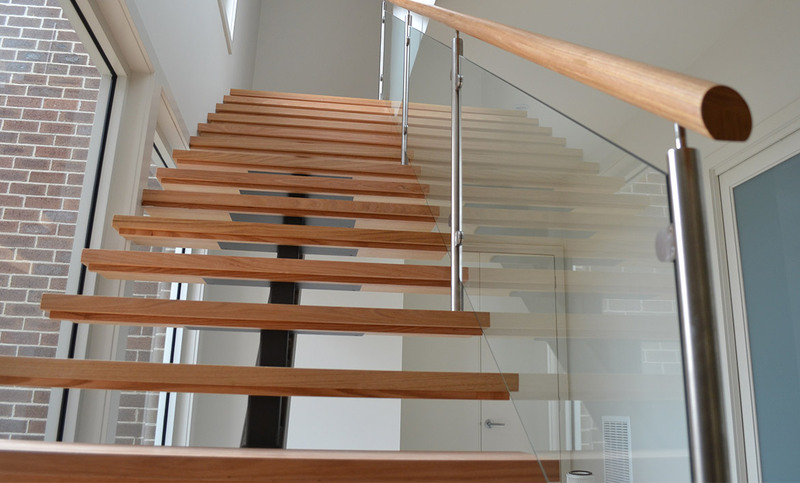 Open staircase designs don’t actually have any risers – instead, they have a thicker stringer and treads, which give the staircase the strength it needs to support the weight of those walking on it. 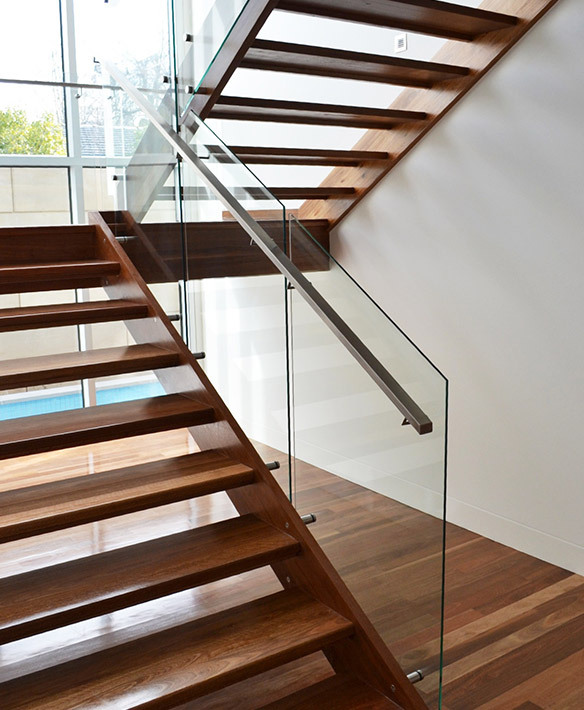 The ultimate in minimalist design, the handrails and balustrades that we use with open riser stairs are designed to visually float. This adds to the sense of freedom and airiness that the stairs evoke. 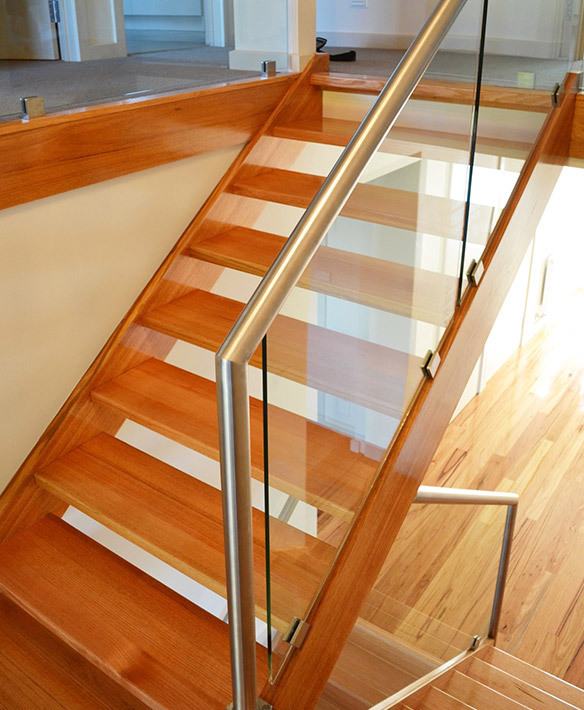 Gowling Stairs crafts open staircase kits for all areas of Melbourne and wider Victoria. Some of the suburbs we service include: Balwyn, Glen Waverley, Doncaster, Camberwell, Hawthorn, Kew, Caulfield, Bentleigh, Brighton and Toorak.